Il Palazzetto, a beautiful 19th-century building overlooking the Spanish Steps, offers a location of enchantment, with unique event spaces that will make each private event a memorable occasion. 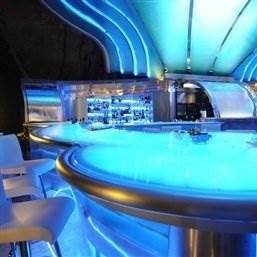 This building is not only home to stunning event spaces but also to four boutique hotel rooms and two panoramic terraces where to enjoy cocktails and light meals. 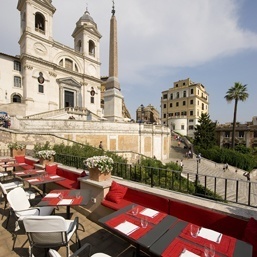 Il Palazzetto is a charming 19th-century residence that overlooks the Spanish Steps. 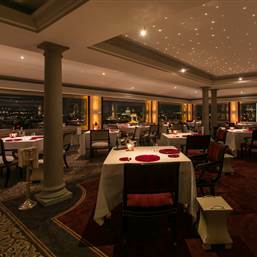 An exclusive private event space for all types of events including press conferences, anniversaries, birthdays, gala dinners, cocktail parties and more, it also offers two panoramic terraces as well as four elegantly furnished boutique hotel rooms located on the 3rd and 4th floors. 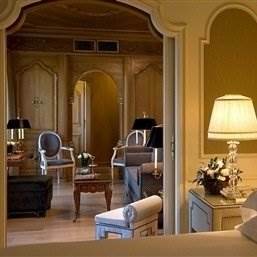 Three rooms overlook the Spanish Steps and one looks over the Vicolo del Bottino. 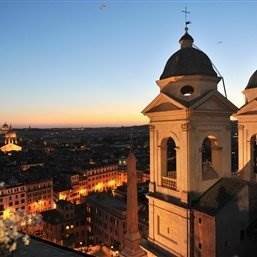 Click on our live webcam to see the amazing room view of the Spanish Steps! The rooms' simple yet tasteful beige and cream-colored hues with accents of velvet and satin, and their spaciousness offer guests maximum comfort along with the sensation of being in their own private residence with the added luxury of impeccable service and incomparable location. Il Palazzetto hotel and event space has an extraordinary history which you read all about here. Guests at Il Palazzetto are welcome to use all of the Hassler Roma's facilities including its breakfast rooms, the Concierge services, Amorvero SPA's wellness and fitness center, and the panoramic guest terrace on the 7th floor. Take a look at rates, event space options and contact & enquiry details or the extraordinary live view that you get at Il Palazzetto.